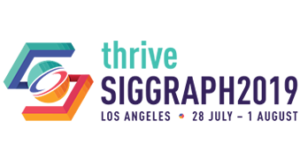 ACM SIGGRAPH is delighted to present the 2012 Significant New Researcher Award to Karen Liu, in recognition of her pioneering contributions in the field of computer animation, particularly her work in optimization and control of human motion. Liu’s seminal contributions lie in physics-based animation, character animation, and computational biomechanics. Her work can be broadly characterized as employing optimization and physical simulation to discover fundamental and natural patterns of human motion. Karen has amassed an impressive body of work beginning with her first ACM SIGGRAPH paper in 2002, “Synthesis of Complex Dynamics Character Motion from Simple Animation”. Her work is marked by a principled and biomechanically sound approach to modeling the human form. This scientific grounding for her optimizations causes her results to naturally represent such characteristics of lifelike behavior as appropriate forces and energy efficient strategies. 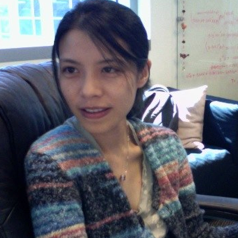 Her work is rife with compelling examples that span much of human behavior and include a small child pulling on the hand of a parent as they walk together (“Composition of Complex Optimal Multi-Character Motions”), human grasps that include the soft contacts of the figures (“Dextrous Manipulation from a Grasping Pose” and “Controlling Physics-Based Characters Using Soft Contacts”), and the elastic elements in shoes, tendons and ligaments that enable natural gait patterns on rough terrain (“Learning Physics-Based Motion Style with Nonlinear Inverse Optimization”). Her recent research has expanded on the theme of optimization to create motion and control for creatures swimming through water (“Articulated Swimming Creatures”).